We’re sad to note: Wildflours Bakery is no longer at this location due to fire. 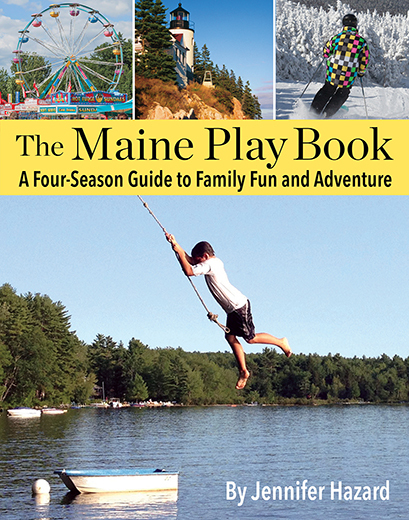 However, you can find their yummy treats at restaurants and markets throughout the state. Visit their Facebook page for details. Update 2016: Wildflours is rebuilding in Brunswick, according to The Forecaster. It’s no secret that the Cute Potato team loves to bake. Our favorites? Classic Betty Crocker banana bread, Ghirardelli chocolate brownies and the fabulous oatmeal raisin cookies featured on the back of the Quaker Oat’s lid. So you can imagine we were sent into a bit of a tailspin when we learned CP#1 needed to go gluten-free, meaning baking with whole wheat flour was out of the question. Thankfully, a friend recommended Wildflours Market & Bakery in Brunswick, where great-tasting gluten-free treats are on the menu 24/7. MP was a little giddy when she entered this charming little bake shop. Suddenly, going gluten-free didn’t seem so challenging. 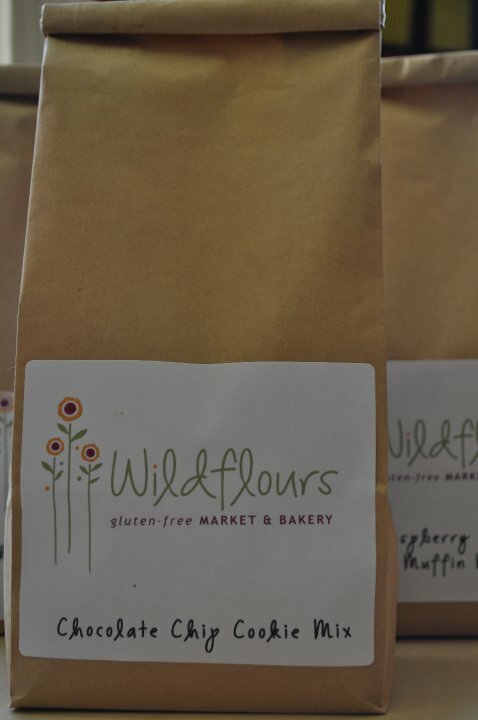 Wildflours offers a wide range of specialty products—from Quinoa pastas to gluten-free pizza dough. Proprietor Kelley Hughes also bakes homemade treats like decadent magic bars, lemon squares and oh-so lovely whoopie pies. And if that’s not enough to tempt you, Kelley provides ready-made pie crusts to take home (just call ahead). 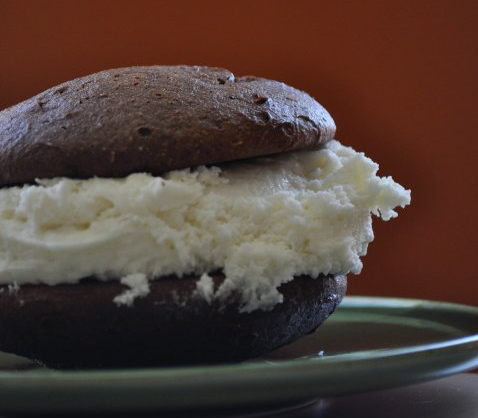 Seriously, who could bypass this gorgeous whoopie pie? Kelley is a natural with young customers, and kindly offered CP#1 and #2 glasses of milk to go along with their generously-sized treats. And without realizing it, she inspired MP to try a little gluten-free baking of her own. While some attempts have been less than stellar (read: super dry pumpkin muffins), others have been a hit. It seems our time-honored banana bread is just as good substituting Bob’s Red Mill Gluten-Free flour and a little xanthan gum. 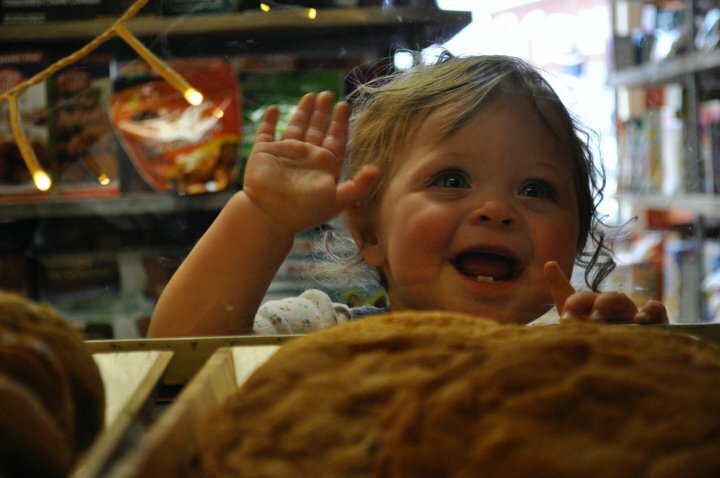 Is your family gluten-free? Tell us some of your favorite places to find gluten-free foods. My 13 year old was recently diagnosed as celiac. Imagine her reaction when I showed her the pix from your post from Wildflours. Perhaps a road trip to Brunswick is in store for the weekend…:) Thank you. Gluten free is new to our family, too, and we’re still looking for all the right stuff. Whole Foods is a good resource and the Portland store has a whole gluten free section. Pamela’s flour is great. We were at Portland Pie Company today, and they also do a gluten-free pizza… Pat’s does, too. Trader Joes in Portland has a nice selection (CP#1 especially likes UDI’s breads, which they stock there). TJ’s promises to better mark their GF offerings soon, but you can get a whole list of GF products from them at Customer Service or the registers. Love that. Haven’t yet been to TJ’s but look forward to checking it out. Udi’s products are a favorite, especially their pizza crust. Thanks for the heads up on Hootin’ Bakery. I love Whoopie Pies and recently I tried Bob’s Red Mill Chocolate Cake Mix. I made it just as it instructed on the package but made it into cupcakes. When they were done and cooled I split them and put thawed frozen whipped topping in them and to die for! They are so chocolately you will just swoon. Of course that is gluten free Chocolate Cake Mix and I used soy milk and egg replacer.